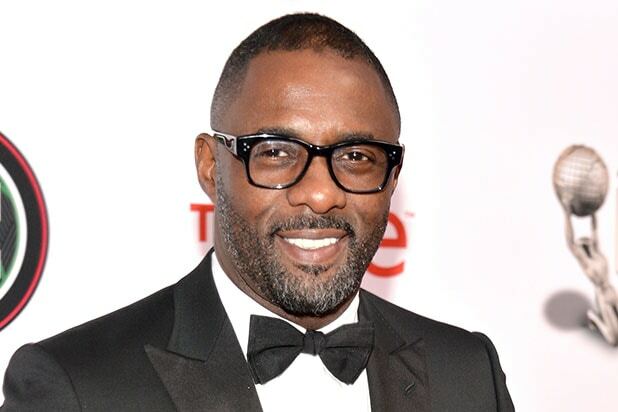 Outstanding Performance Male Actor – TV Movie or Miniseries:Idris Elba for his role in "Luther" received a nomination, and Ben Kinglsey ("Tut"), Ray Liotta ("Texas Rising"), Bill Murray ("A Very Murray Christmas") and Mark Rylance ("Wolf Hall") also received nominations. Outstanding Performance Female Actor – TV Movie or Miniseries:Nicole Kidman was nominated for her role in "Grace of Monaco" and Queen Latifah ("Bessie"), Christina Ricci ("The Lizzie Borden Chronicles"), Susan Sarandon ("The Secret Life of Marilyn Monroe") and Kristin Wiig ("The Spoils Before Dying") were nominated as well. Outstanding Performance Male Actor – Drama Series (TV):Peter Dinklage got a nomination for "Game of Thrones," alongside Jon Hamm ("Mad Men"), Bob Odenkirk ("Better Call Saul") and Kevin Spacey ("House of Cards"). Outstanding Performance Female Actor – Drama Series (TV):Viola Davis was nominated for "How to Get Away With Murder," alongside Julianna Margulies ("The Good Wife"), Claire Danes ("Homeland"), Maggie Smith ("Downtown Abbey") and Robin Wright ("House of Cards"). Ensemble – Drama Series, TV:"Downtown Abbey," "Game of Thrones," "Homeland," "House of Cards" and "Mad Men" all received nominations. Ensemble Comedy Series – TV:Those nominated are "The Big Bang Theory," "Key & Peele," "Modern Family," "Orange is the New Black," "Transparent" and "Veep." 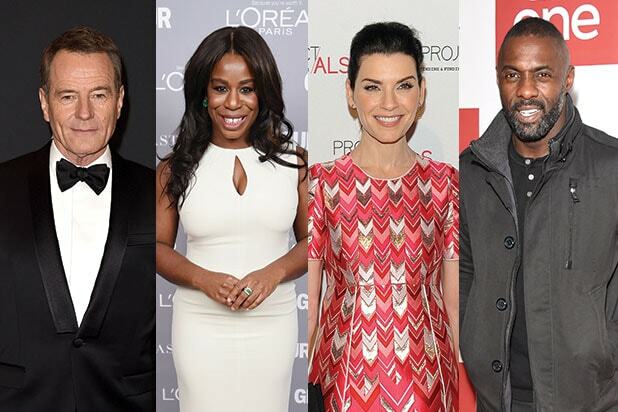 Female Actor – Comedy Series, TV:Uzo Aduba received a nomination for "Orange Is the New Black," alongside Edie Falco ("Nurse Jackie"), Ellie Kemper ("Unbreakable Kimmy Schmidt"), Julia Louis-Dreyfus ("Veep") and Amy Poehler ("Parks and Recreation"). Male Actor – Comedy Series, TV:Jeffrey Tambor was nominated for "Transparent," and Jim Parsons ("The Big Bang Theory"), William H. Macy ("Shameless") and Ty Burrell ("Modern Family") were nominated as well. Male Actor, Supporting Role – Film:Mark Rylance received a nomination for his role in "Bridge of Spies." Other nominees include Idris Elba ("Beasts of No Nation"), Christian Bale ("The Big Short"), Michael Shannon ("99 Homes") and Jacob Tremblay ("Room"). Female Actor, Supporting Role – Film:Rooney Mara received a nomination for "Carol," and Rachel McAdams ("Spotlight"), Helen Mirren ("Trumbo"), Alicia Vikander ("The Danish Girl") and Kate Winslet ("Steve Jobs") also received nominations. Male Actor, Leading Role – Film:Bryan Cranston was nominated for "Trumbo" alongside Johnny Depp ("Black Mass"), Leonardo DiCaprio ("The Revenant"), Michael Fassbender ("Steve Jobs") and Eddie Redmayne ("The Danish Girl"). Female Actor, Leading Role – Film:Cate Blanchett was nominated for her role in "Carol," alongside Brie Larson ("Room"), Helen Mirren ("Woman in Gold"), Saoirse Ronan ("Brooklyn") and Sarah Silverman ("I Smile Back"). Cast – Film:"The Big Short," "Beasts of No Nation," "Spotlight," "Straight Outta Compton" and "Trumbo" all received nominations. Outstanding Action Performance by a Stunt Ensemble in a Comedy or Drama Series:"Game of Thrones," "Homeland," "Daredevil," and "The Walking Dead" were nominated. Outstanding Action Performance by a Stunt Ensemble in a Motion Picture"Jurassic World" was nominated alongside "Furious 7," "Mission: Impossible 7," "Everest" and "Mad Max Fury Road."